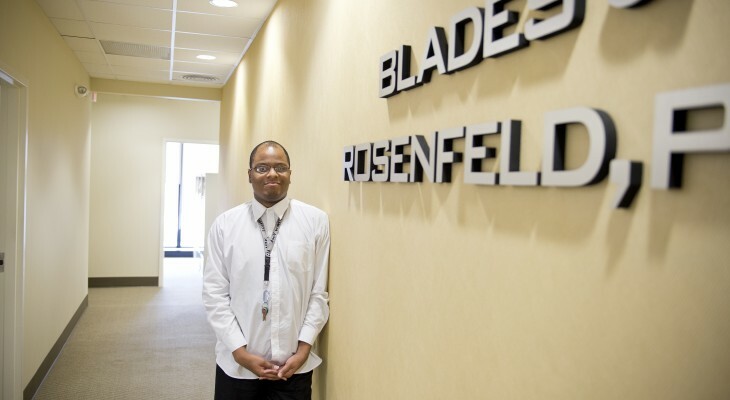 Increasingly, people with intellectual and developmental disabilities are moving into a broader array of job opportunities and they want a career, not just a job. One way to help them build their skills and to open more options is through intensive education and internship programs. 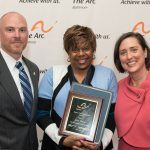 The Arc Baltimore operates two such programs – Project SEARCH and Career Catalyst. Project SEARCH is an innovative one year internship program for motivated Baltimore City and Baltimore County high school students and adults with disabilities. The program provides guidance and experience to those individuals who want to explore career options, develop real job skills and learn to live more independently. The program follows the Baltimore City and Baltimore County Public School calendar and Students spend their day on either the downtown campus of the University of Maryland, Baltimore or the University of Maryland Medical Center. They have classroom time, but the majority of their time is spent in on-campus internships of their choice. Through these internships, students learn general office, basic computer and/or labor skills as they prepare for the workforce. Students may complete three, 10-week internships with on-site training, instruction provided by a special education teacher and job coaches. Individualized job placement services begin after the students successfully complete their classroom program and internships. Our staff will go the distance to find meaningful employment for all students. An application and interview is required for all interested students. Applicants who are accepted will be notified by mid-May. The program runs from September to May, Monday through Friday. Participants begin and end their day in the classroom at MedStar Union Memorial Hospital or Northwest Hospital. They spend the balance of their time participating in three unpaid internships of their choice, each lasting 10-weeks. 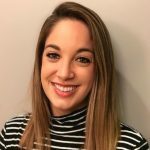 Through these internships participants gain marketable skills that will empower them to be competitive job applicants in the health care industry or elsewhere in the community. On-site training, instruction, support and feedback is provided by the CCBC Instructor, The Arc Baltimore program coordinator and job coaches. Individualized job placement services begin after the participant successfully completes their classroom program and internships. Our staff will go the distance to find meaningful employment for all participants. An application and interview is required for all interested individuals. Career Catalyst is a workforce education and intensive internship program for adults with intellectual and developmental disabilities who are either chronically underemployed or unemployed, and youth transitioning from a special education program who are seeking employment or an employment program. The program has four components: vocational evaluation, skill development and education, paid internships, and job development. The Career Catalyst places significant emphasis on the initial job evaluation and the early investment of time in the employee. The ability to tailor a participant’s employment education and internship experience based upon their interests and skills will be the key to each person’s success. The program is similar to Project SEARCH, but it has some key differences. The program is not tied to the school year. The length of internships may vary and occur at a variety of community businesses. Participants may receive other program exposure and support through The Arc to measure and improve skills and abilities. Finding job opportunities may occur before an internship is complete or it may take more internships and training to prepare an individual for the right job. 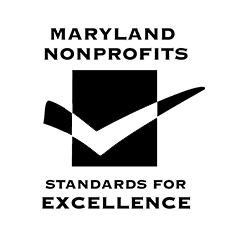 For more information about and eligibility requirements for Project SEARCH and/or Career Catalyst, please contact Bob Fonte at 410-296-2272 x 5310.